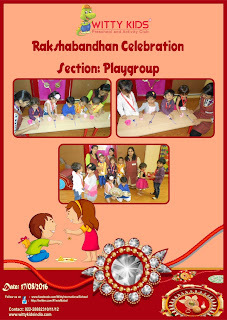 Raksha Bandhan is a popular festival in India. 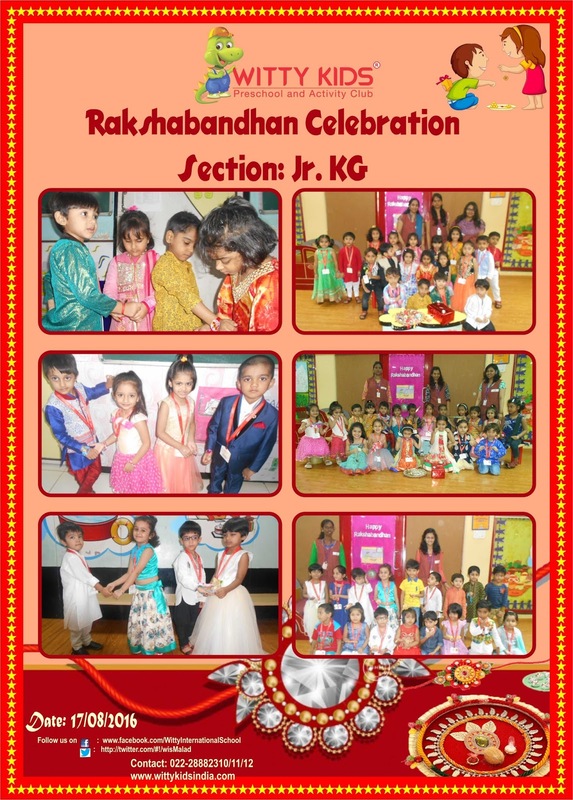 The festival depicts the love and the special bond between brothers and sisters. 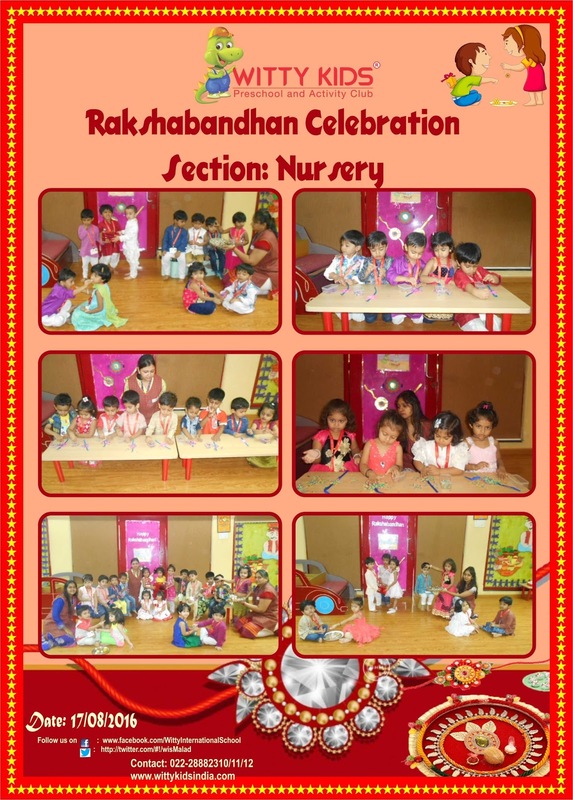 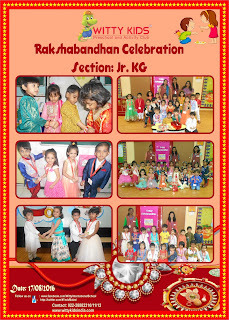 Pre-primary section celebrated ‘Rakshabandhan’ on Wednesday, 17 August, 2016.Teachers and Children came beautifully dressed in traditional clothes. 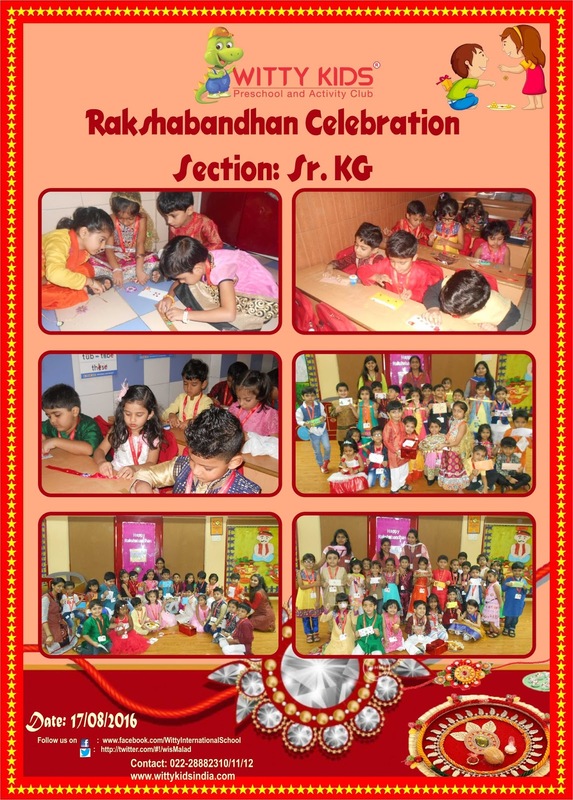 The class was decorated to give it a festive look. 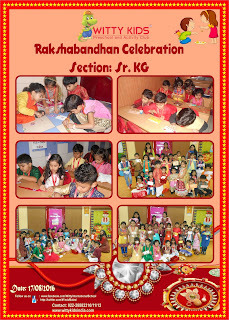 Teacher discussed the importance of the festival. 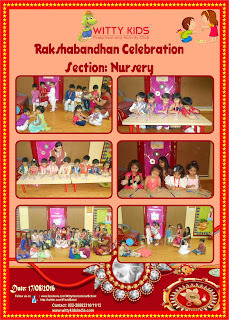 They had a blast making their own raakhis, and of course enjoyed the traditional mithais that Mammas had packed in their snack boxes. It was indeed a joyful day for the little ones.